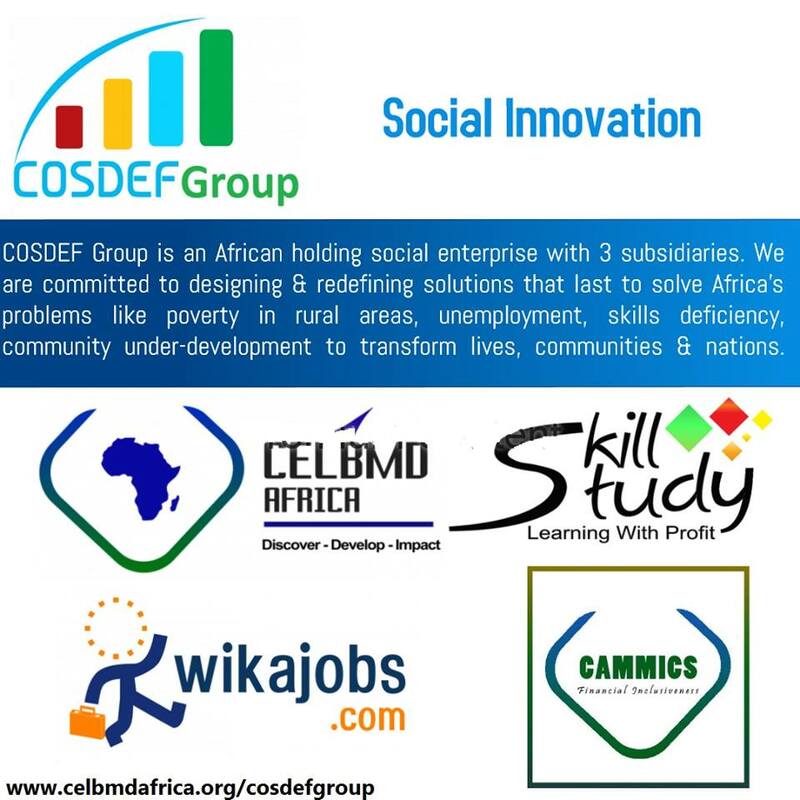 COSDEF Group is an African holding social Innovation enterprise with 4 subsidiaries namely The Center for Entrepreneurship, Leadership & Business Management Development (CELBMD) Africa – The Pan African Professional Skills Development Center, Wikajobs Career Management Firm, CAMMICS – Mobile Microfinance, and SkillStudy. 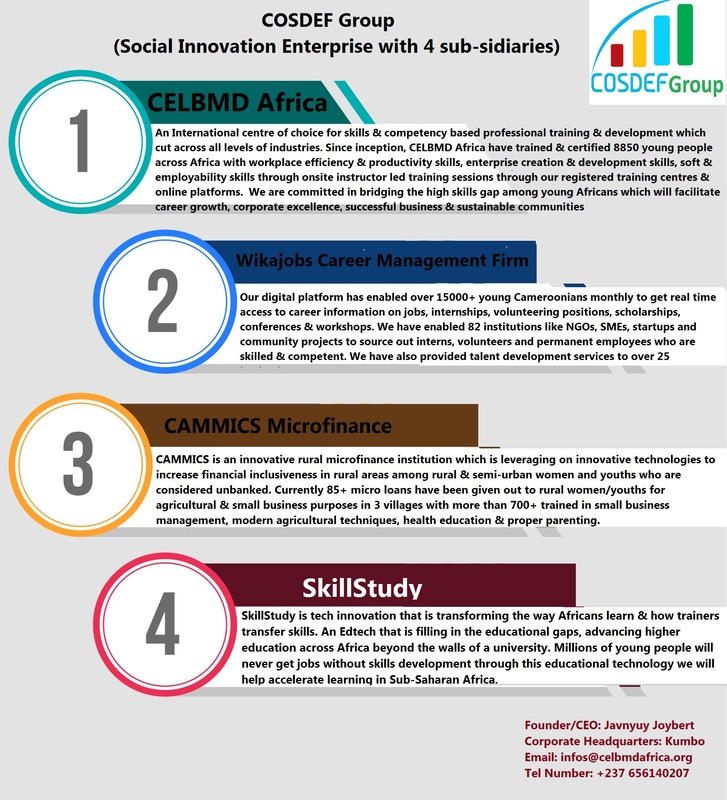 We are committed to designing & redefining solutions that last to solve Africa’s problems like poverty in rural areas, unemployment, skills deficiency, community under-development to transform lives, communities & nations. 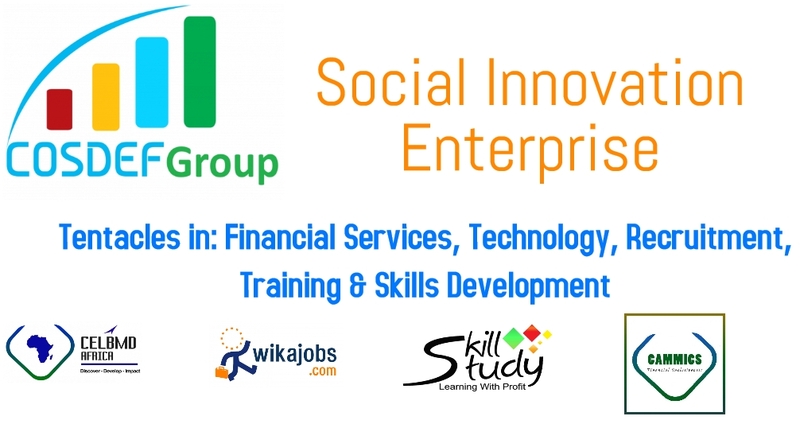 Have experience with COSDEF Group ?